A new white paper jumps into the challenges of network edge management and defenses against increased, ever-changing cyber threats. Get up to speed on utilizing in-line security appliances to securely manage the network edge to prevent downtime. This week's partner post by FireMon provides helpful best practices on migrating from first-gen firewalls to next-gen firewalls, and keeping up-to-date on ever changing technologies during this transition. As networks become increasing complex, it's critical to plan - and require - visibility. To do its job properly, each security and monitoring tool needs 100% access to the traffic flowing through the network. Without this visibility, you're blind to suspicious communications and blind to performance monitoring issues. Join Fuel User Group and Garland Technology for a webinar addressing how to add native network access that can be used to build, evolve, and transform your network overtime. 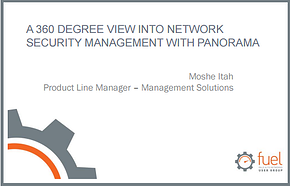 One of the most popular workshops from past Spark User Summit events focused on the Palo Alto Networks Migration Tool, which helps automate and accelerate the migration from third-party firewall vendors to Palo Alto Networks next-generation firewalls. Not sure if it’s the right time to migrate to PAN-OS 7.0? Have questions? Our members did! 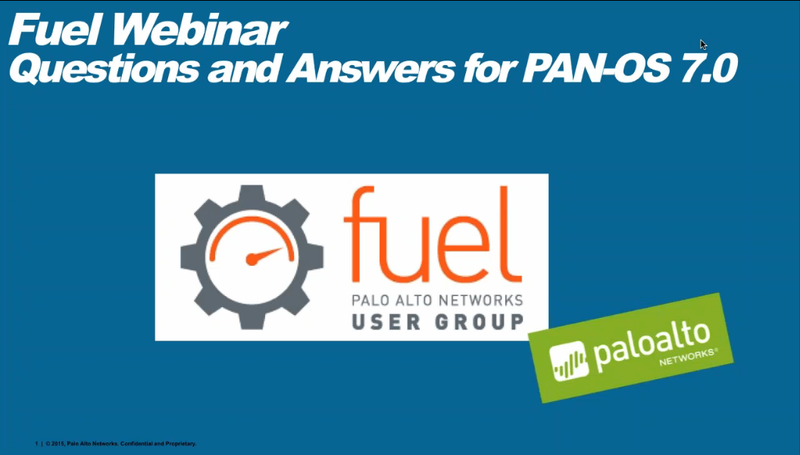 Luckily, we had Palo Alto Networks experts Moshe Itah and Joerg Sieberg on hand to answer questions in an exclusive Fuel Q&A webinar. Whether you’re considering migrating to Palo Alto Networks systems or a current customer getting ready for the jump to PAN-OS 7.0, you’ll find the information you need to help you get started during our Migration Education Week! Every day on the blog this week starting today, March 7, we’ll be offering exclusive technical advice and resources to help you jumpstart your migration. Fuel recently presented "Traffic Visibility & Attack Surface Reduction,” hosted by Kate Taylor of Palo Alto Networks. Here, Kate discusses how Palo Alto Networks’ implementation best practices tips and tricks for the NGFW’s App-ID, User-ID, and SSL decryption technology can help you accomplish your goals. Fuel recently presented, “How to Expand Your Network Security Policy from Next-Gen Firewalls to Cloud Instances,” hosted by Ofer Or, vice president of products at Tufin. 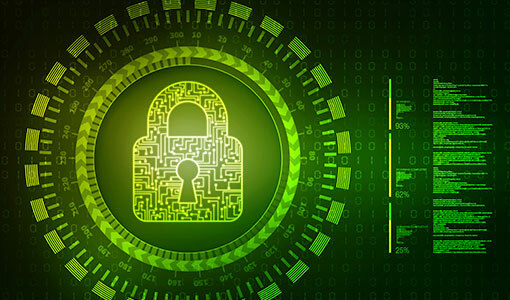 Here, Ofer dives deeper on some of his key takeaways and gives advice on what security professionals can do to make sure their networks are always secure. 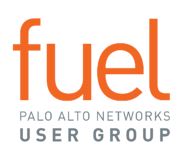 Fuel User Group is a community of Palo Alto Networks technology users with the power to shape the future of security. Experience the benefits of this user group by joining and gain access to the latest technical education tips, discussions on best practices and advice on how others have overcome challenges.